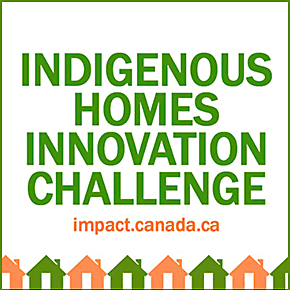 The Indigenous Homes Innovation Challenge is a national competition that will be launched by the Government of Canada in fall 2018. It is designed to feed into broader efforts underway to close the housing gap for Indigenous peoples. The goal is to fund new approaches for the design and construction of Indigenous-led home and community innovation projects for First Nation, Inuit and Métis peoples living in rural and urban communities. It is also an opportunity to inspire designs that are culturally and geographically appropriate and enhance community well-being by investing in the construction of more dignified living spaces. The Challenge will be led by an Indigenous Steering Committee formed of First Nation, Métis, Inuit and urban Indigenous experts. The Steering Committee will provide recommendations to the Minister of Indigenous Services on project award selection. In each round, projects that are ready for construction will be eligible for prize money and proposals that require more development will be considered for the Innovation Lab.